The Minnesota Twins had all four affiliates in action today, while both the Fort Myers Miracle and Cedar Rapids Kernels played doubleheaders. With lots of baseball action throughout the farm system, there were plenty of highlights to go around. Top prospect Brent Rooker's eight game hitting streak was capped off by his 4th homer of the year, and Dietrich Enns turned in a nice start for the Red Wings. Facing the Chiefs today, the Rochester Red Wings ran into a familiar Twins name. Former big league starter Tommy Milone was on the bump opposing the Minnesota Triple-A affiliate. Fortunately for the Red Wings, they chased him early putting up five runs on three hits and three walks before he was able to record a second out. Jake Cave started the scoring for the home team with a triple that plated both Ryan LaMarre and Zack Granite. Nick Buss doubled in both Cave and Jermaine Curtis, while Leo Reginatto drove in Wynston Sawyer with a first inning sac fly. After getting five strong innings of two-run (one earned) ball by Dietrich Enns, the Red Wings watched their lead be trimmed to one. A D.J. Baxendale wild pitch in the top of the sixth inning allowed Irving Falu to score for Syracuse and Rochester led just 5-4 at that point. The five runs would be enough however, and a Willians Astudillo single in the bottom of the eighth scored Brock Stassi to provide some extra cushion. Luke Bard worked two scoreless innings for Rochester grabbing his first hold of the year. He’s now up to 5 1/3 shutout innings since rejoining the Twins organization. Nick Anderson worked the ninth and struck out one, allowing no hits, en route to his first save of the season. After getting behind by two in the top of the third inning, the Lookouts answered back with two and would keep scoring throughout this affair. LaMonte Wade was responsible for the first two runs of the game for the home team, driving in both Ryan Walker and Tanner English on a single. Brian Olson then scored in the bottom of the fourth on a fielding error to give Chattanooga their first lead of the contest. Brent Rooker kept up his hot hitting, and extended his hitting streak to eight games with a homer (his fourth) in the bottom of the fifth. With Tennessee having retaken the lead 5-4 in the top of the sixth inning, Chattanooga used a nice rally in the bottom of the seventh to recapture it. A wild pitch allowed English to cross the plate during a Zander Wiel at-bat, and then the first basemen did damage on his own with a single that drove in Rooker. A T.J. White double brought Wiel around to the plate and the Lookouts entered the eighth with an 8-5 lead. Sam Clay worked two innings in this one to get his first save of the year. While he did allow a ninth inning run to give the Smokies just a two run deficit, he held them there. Tyler Jay replaced starter Anthony Marzi earlier in the game and pitched 1 2/3 innings while allowing no runs on three hits. Fort Myers got out to an early lead in game one of the twin bill, but unfortunately it wasn’t enough as they were walked off in the bottom of the seventh. 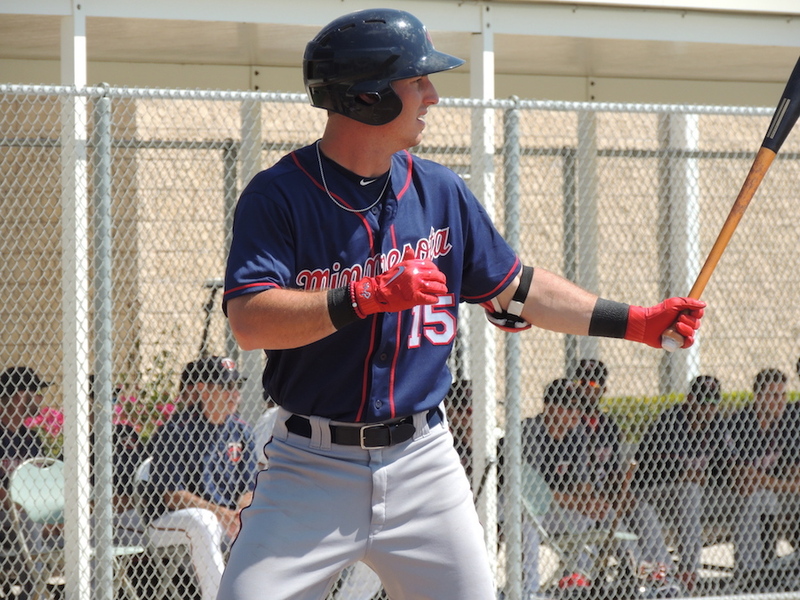 Taylor Grzelakowski’s first inning solo shot gave the Miracle their only lead of the contest. Jupiter answered back with a two-run homer in the bottom half of the first, and added another run on a fielder’s choice in the second. As he’s done all year, Jimmy Kerrigan came through for Fort Myers in the top half of the fourth inning, driving in Travis Blankenhorn on a single. Although the bats went somewhat cold in the middle innings, Mar Contreras singled to knot the game up at three in the top half of the seventh. With Logan Lombana on the mound for Fort Myers, a deep double to left field allowed Jupiter’s Aaron Knapp to come around and score the game-winning run. Kevin Marnon and Lombana split the game almost evenly, going 3 and 3 1/3 innings respectively. Hoping for a different result in game two of the doubleheader, the Miracle found themselves in a very similar scenario. Jupiter was able to muster nine hits yet again, and came away with a one-run victory. Fort Myers struck first with Blankenhorn cracking a triple in the fourth that drove in Luis Arraez. He was then able to touch the plate after Jared Foster singled on a looper into centerfield. That lead wouldn’t last however as Jupiter answered with three runs of their own in the bottom half of the inning. The 3-2 tally in the fourth was the extent of the scoring in this one and the Hammerheads closed it out in seven innings. Paco Rodriguez made his organizational debut for the Twins and tallied two innings of scoreless ball as the starter in game two. He allowed two hits and struck out a pair while walking one. Ryan Mason, who has been excellent for the Miracle, had a tough outing in game two as his two innings of relief yielded three runs on five hits. Also playing a doubleheader today, the Kernels found themselves needing to dig out of a big hole early. With Tyler Watson on the bump for Cedar Rapids, five unearned runs came around to score in the top half of the second inning. Errors up the middle from second basemen Jose Miranda, and shortstop Royce Lewis, wiped any statistical blame from Watson’s line. Cedar Rapids would battle back a bit in the bottom of the fifth inning, as a Miranda double scored Ben Rortvedt for their first run of the day. Akil Baddoo then tallied a double for himself to drive in Miranda and the deficit was cut to three. Unfortunately for Toby Gardenhire’s squad, that was where their scoring ended, and a Quad Cities solo shot in the top of the seventh put the final tally at 6-2. The Kernels recorded just four hits and three walks in game one of the twin bill. Looking to rebound from their game one loss, Cedar Rapids found yet another tough test in game two. A two-run bomb by Shane Carrier gave them the early lead in the bottom of the first inning, but it was again the second inning that proved costly. Royce Lewis committed his second error of the day, this one of the throwing variety. The River Bandits took that momentum and put up another second inning five spot. Randy Dobnak got the call in this contest and allowed all eight runs on 11 hits over 4 2/3 innings. After being down by six after the fifth inning, the Kernels once again put runs on the board. In the bottom of the sixth, Miranda drove in Jean Carlos Arias with a bases loaded fielders choice. A wild pitch with Baddoo at the dish allowed Ben Rodriguez to score the Kernels final run of the evening. Swept in the doubleheader, the Kernels dropped game two by four runs. Hopefully Rooker will be able to take this hot streak and extend it into a successful season at AA. He had a rough start in the upper minors, but I'm confident he'll be figure things out. I hope Kirilloff can work his way out of this slump soon. It would be nice to see him heat up. Tommy Milone is now getting lit up at AAA.Maybe time to move into coaching? Great seeing Rooker with a 4-bagger while that average moves up.Keep this up for another couple weeks and everyone's concerns should be behind them.But he isn't the best hitting first basemen on that team.Wiel is having a great season...hope the Vandy product keeps it up.Great baseball school, hell, a great school. Since April 18th (one month), Rooker's numbers are .265/.306/.471 (.777).Since 5/7 (last 10 games), his numbers are .273/.313/.523 (.835). The bookends of those slash lines are getting pretty close to what he did last year in Rookie and A+ ball.The number in the middle still has a ways to go.Hopefully, as he gets fully adjusted to the AA pitching, he can start to take more control of the zone. If he continues to the current trend of mashing, then the pitchers may start to be a bit more careful and the walks will increase that way as well. I see what KLAW was saying about not worrying about kirriloff now. Dude is a hitter. Most of you know the rules, if you're new here, please read them. -Discussing moderator policy always derails a thread and is not allowed. -Respect for everyone is required. That means both players and other posters. -Do not call out others' violations in the thread. Hit the report button instead. ** Anyone who plans on discussing this further can take it to the Questions About Minncentric forum. Further discussion here is going to result in enough points to get a time-out. Taylor Grzelakowski is also having a very good season at the plate. Could someone remind me how he was acquired? MiLB is silent on the topic. How is his defense? I see he's also listed as 1B / OF so I assume C is a work in progress. He was signed out of Indy ball last year, not long after his college career was over. He only started catching once he reached Indy ball. The bat does look good so far this year!